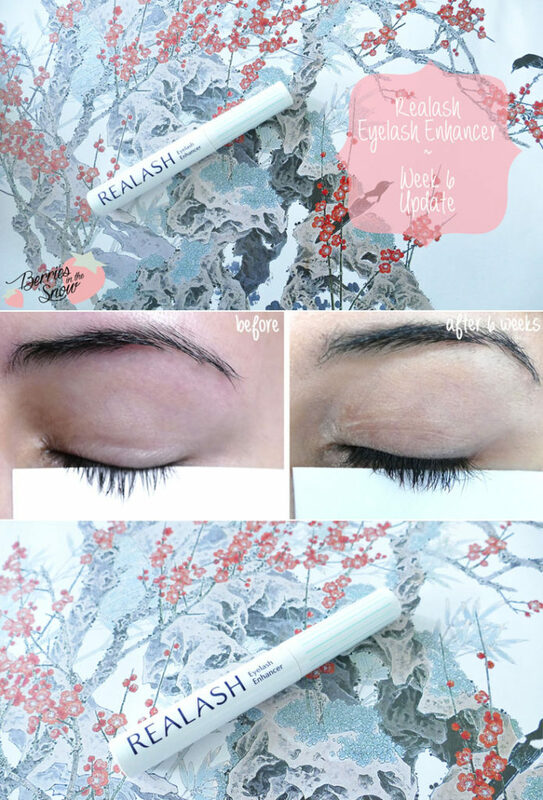 The Realash Eyelash Enhancer is a serum for your eyelashes which promotes the growth of your lashes. It promises not only longer but also thicker and denser lashes when applied regularly. As I said in my previous post there are many eyelash serums available and the prices range between super cheap drugstore brands to super expensive ones. I tried another affordable eyelash serum from Catrice previously, but it didn’t show any significant changes while using it. 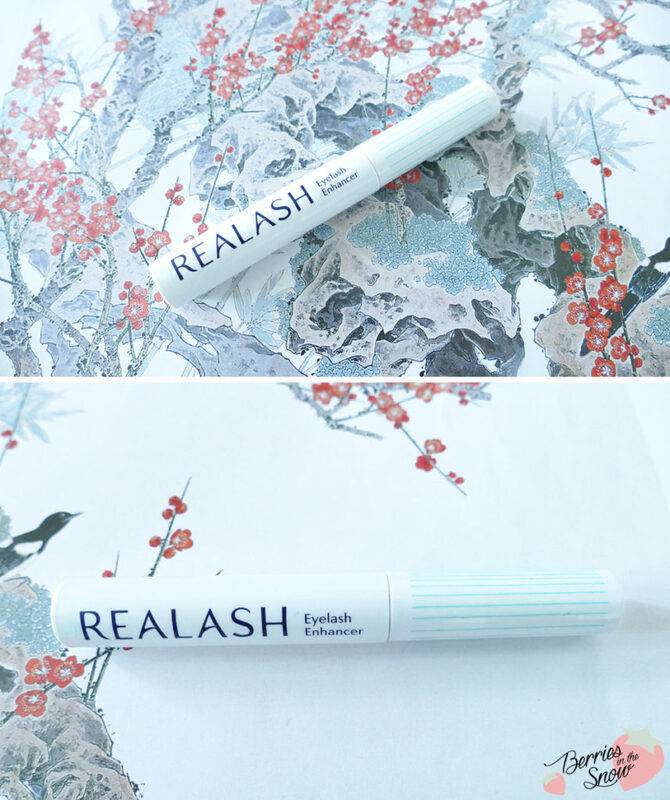 After reading many positive reviews about the Realash Eyelash Enhancer, which is definitely pricier than the drugstore versions, my expectations were quite high and I was doubtful whether the product lives up to its claims. Looking at the picture above you already see that my lashes are definitely longer than 6 weeks ago! And I’m not using any mascara in the images!!! 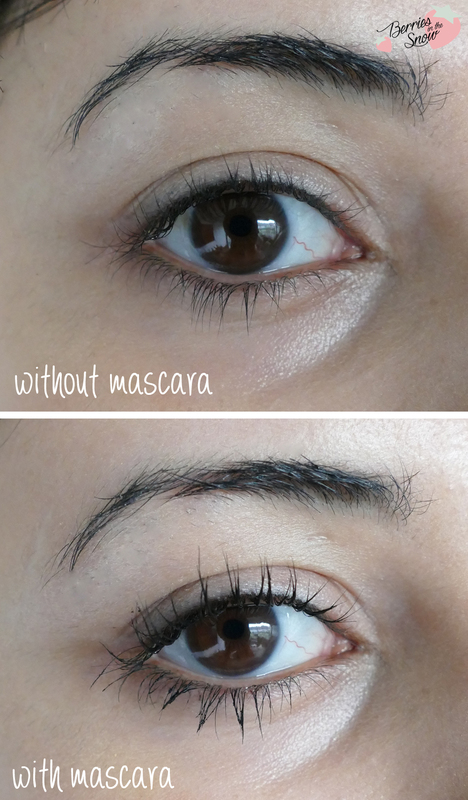 Wow….and even more amazed I was when I compared my lashes with closed eyes. 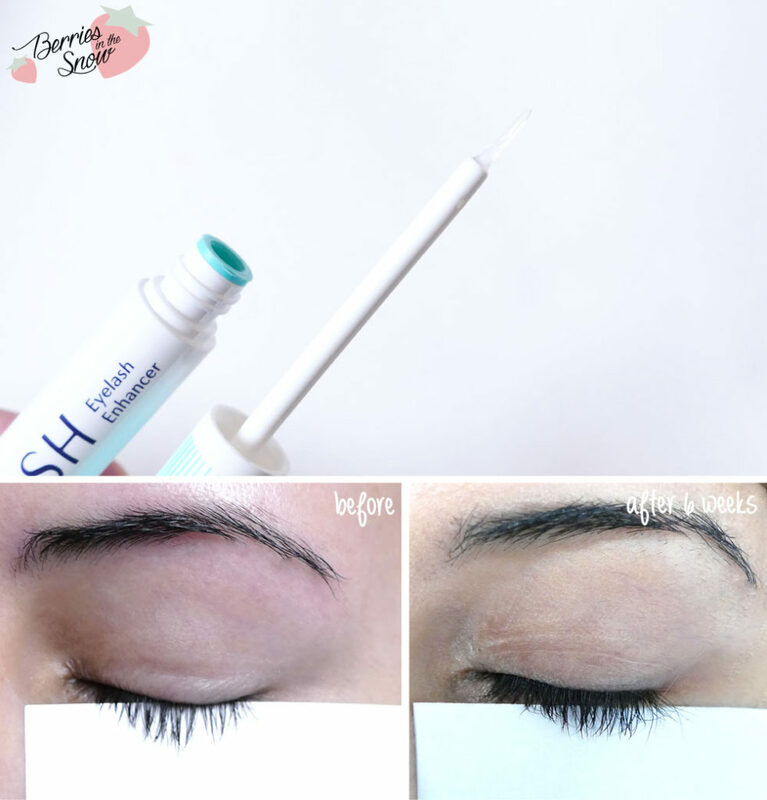 The piece of paper helps to see if the lashes are thicker and denser. The result blew my mind! 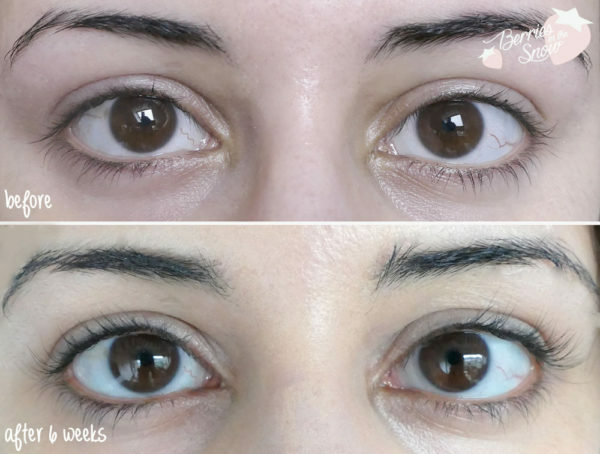 I was especially curious about how the Realash Eyelash Enhancer affects the density and thickness of my lashes because it is the feature I love most about mascara. Seeing the picture above I would almost say that there is no need of mascara wouldn’t it be for curling and holding the curl of the lashes! Below you see an image of how the lashes differ without and with mascara. It really gives the eyes a more dramatic effect. Below you see my simple daily eye makeup using eyeliner and mascara only and I’m so happy about my longer and denser lashes. My boyfriend even asked the other day if I’m wearing falsies! 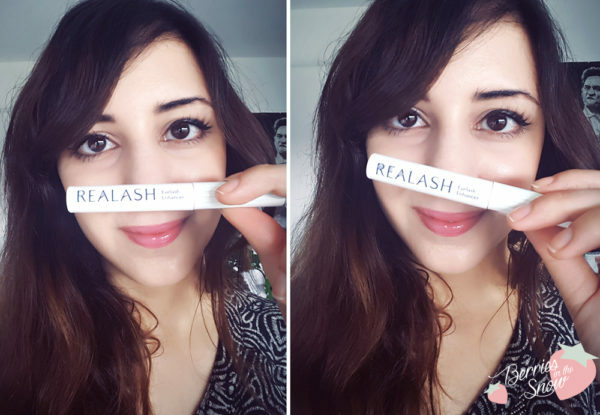 That’s a big compliment for Realash and the Realash Eyelash Enhancer since it is exactly what they claim to achieve with it. For me the Realash Eyelash Enhancer did the trick and it really improved the length, volume and thickness of my eyelashes. The result seems to vary from person to person and there are surely limits within each individuals genetic disposition, but for effective and visible results I can advise you to skip the super cheap drugstore serums and rather go for a mid-priced eyelash enhancer. Your nightly invested time will have a more visible result with these. I will continue to use this serum and I will write a final conclusion about the Realash Eyelash Enhancer after 3 months of using it, but I’m sure that the lashes will stay bout the same as now as long as I apply it regularly. And here comes also my only downside about eyelash serums in general: Usually, when you stop the use of the serum and the lashes fall out after their growth period you will probably return to your good old lashes from before…The Realash Eyelash Enhancer retails for 70 € and contains 3 ml of serum. So far it lasts and I hope it will last for more than 3 months. I hope my review was useful to you and I can advise you to check out the Realash wegpage and the before and after pictures of other testers they show on their show there. Also read my introduction post >>here<<! Just as a short reminder: All products mentioned and reviewed on this blog are of my personal opinions. This product here was sent to me for reviewing purpose by http://www.realash.com/ which doesn’t influence me in providing my honest opinion on the products. Using the piece of paper helped appreciate the before and after comparison A LOT. The difference is pretty crazy. Totally, can’t believe it myself that it was so effective! I’m super impressed and happy myself *_* didn’t expect it to be so effective. 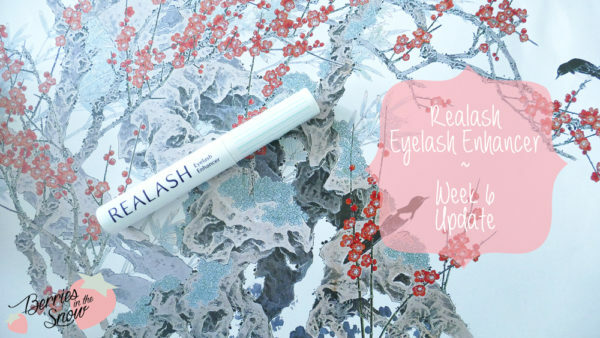 Have you ever heard about Xlash Eyelash Serum? I heared a lot of great things about that serum and it’s cheaper than realash. Thinking of trying it. Love your blog! You are amazing! !